Approximately 10 species in Santa Cruz County. 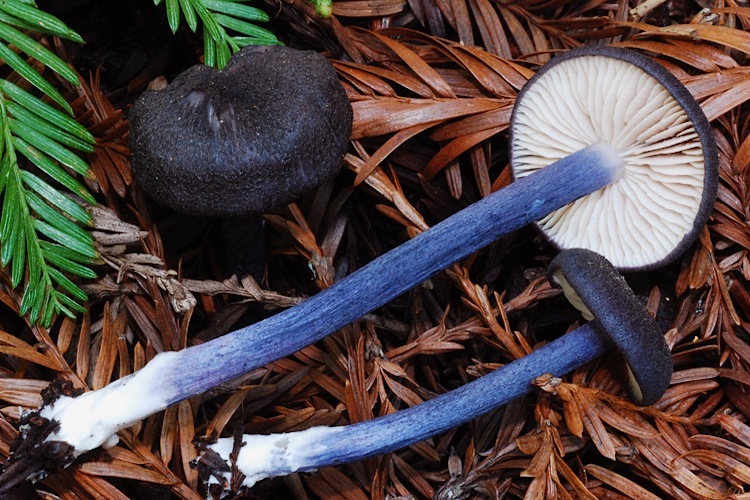 Although redwood forests are less diverse overall than the mixed evergreen and hardwood habitats in our county, they are home to a very characteristic suite of colorful mushrooms. 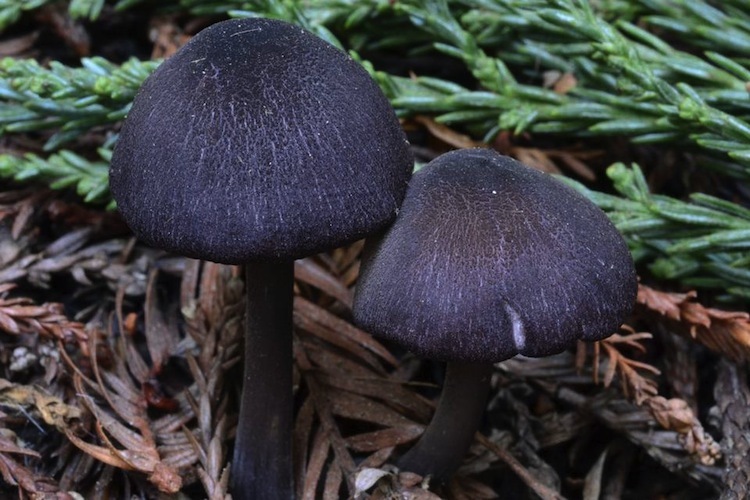 Some of the most striking members of this cohort are the Leptonia. 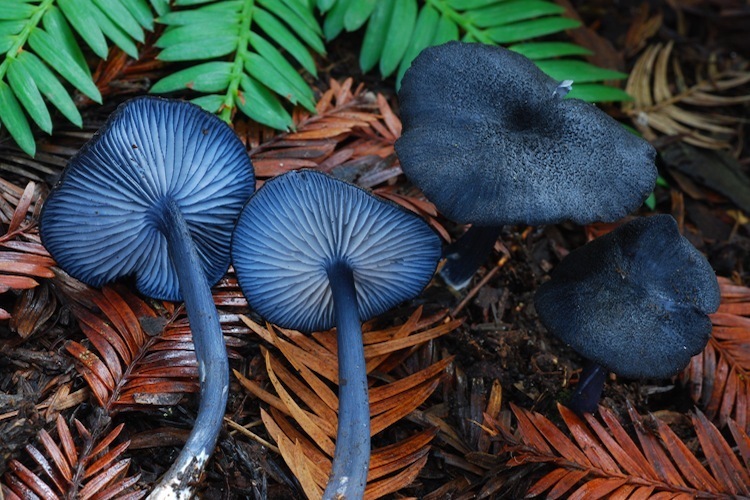 These beautiful little mushrooms are difficult to identify to species, but can usually be recognized at the genus level. 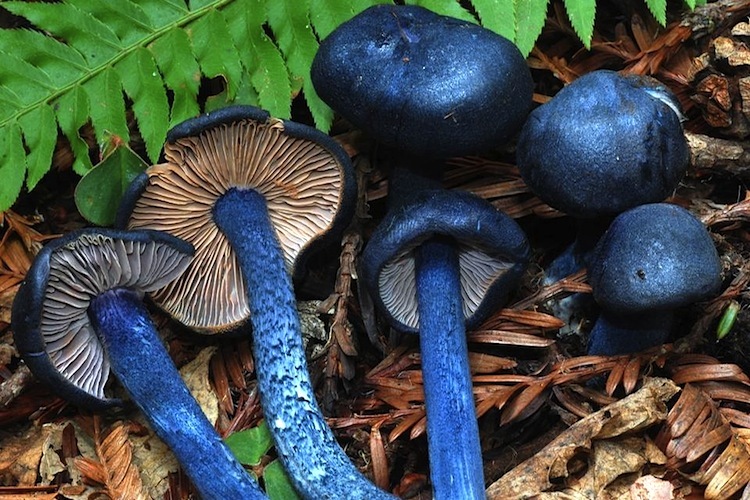 They are veil-less, have attached gills, pink spore deposits, and are often toned in dark blues, grays, and purple hues (although some are paler tan or brownish). 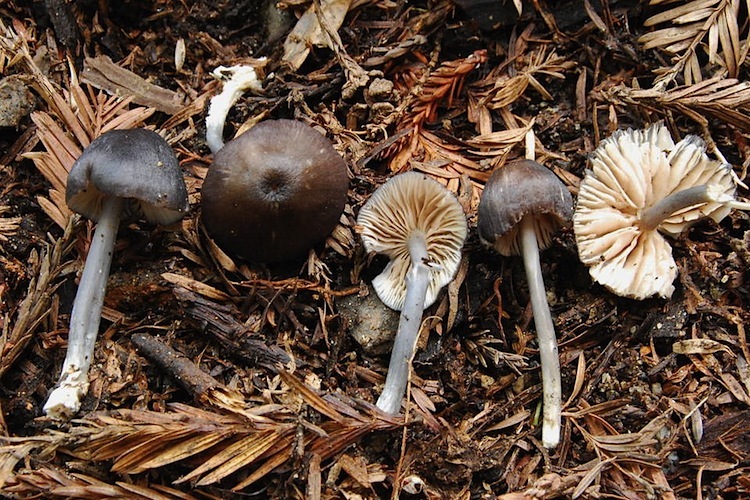 The validity of a separate genus Leptonia is uncertain - Noordeloos and some others lump it into Entoloma, but we keep it separate here on the basis of its morphological/ecological utility. 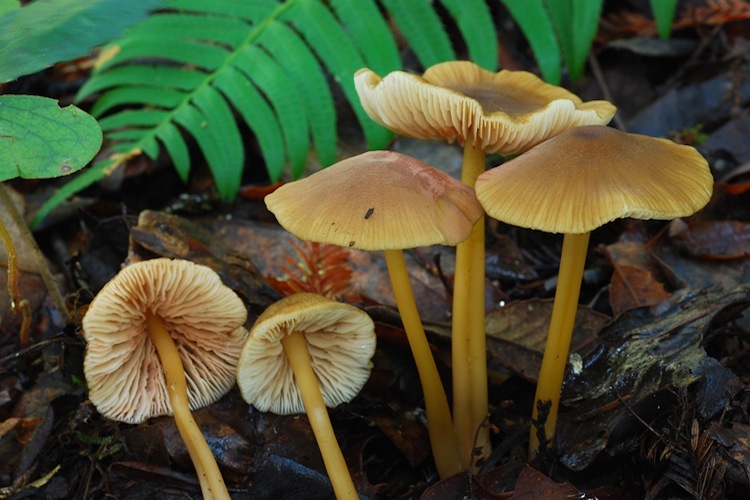 All are thought to be saprobic, but given the surprises from recent research into Hygrocybe nutritional modes, they might warrant closer scrutiny. Very diverse under redwoods, with many tens of species occurring in our county. 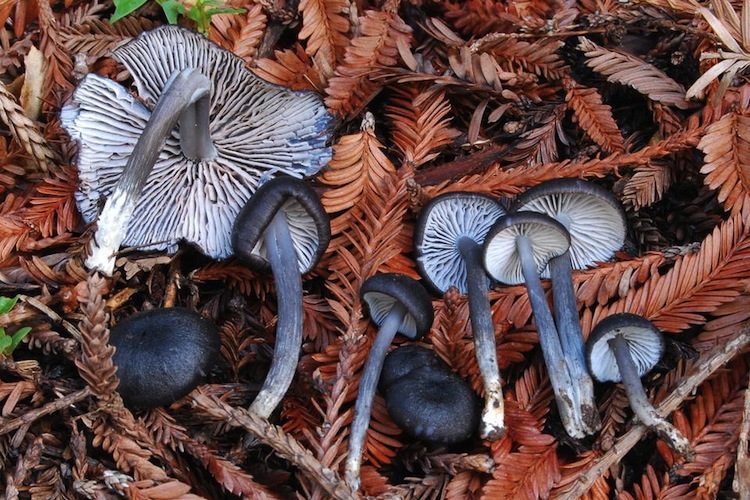 They also occur in other generally mushroom-poor non-mycorrhizal habitats including under Monterey Cypress, Bay Laurel, etc. Important identification characters include cap surface texture, subtleties of coloration on all parts, spore size and shape, and other microscopic details.